Jagged, multi-hued ridges dotted with conifers line stretches of the winding road, punctuated by glimpses of rock spires reminiscent of the hoodoos of Bryce Canyon National Park. Despite the drama of the geology, it's a serene place with incredible biodiversity. 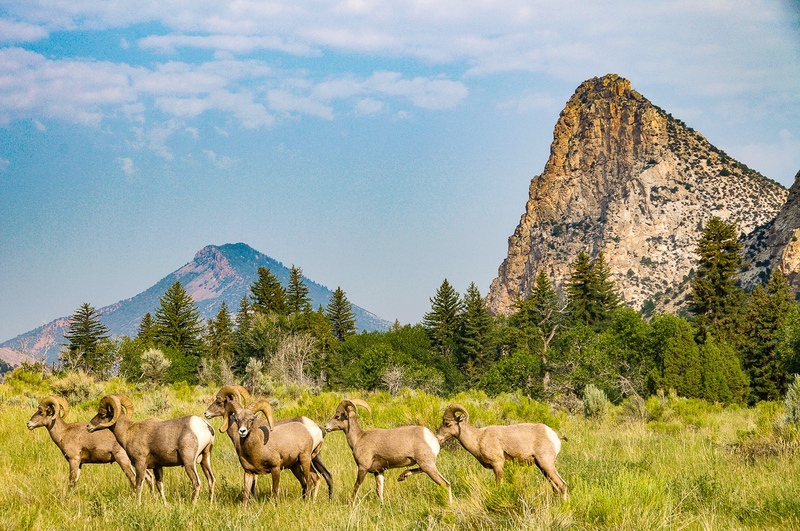 Travelers have reported seeing bighorn sheep among the outcroppings, but it is the rocks themselves that carry this land's most profound stories, collected over a billion years of faulting, folding and uplift. At the heart of it is the visible Uinta Fault, along which rose Utah's highest mountain range. The Sheep Creek and Spirit Lake Scenic Backways are a combination of paved and dirt roads that split off from Utah state Route 44 south of Manila and north of Carter Creek within the Flaming Gorge National Recreation Area. These gorgeous routes will guide you through impressive geological features and to the high country of the Uinta Mountains. 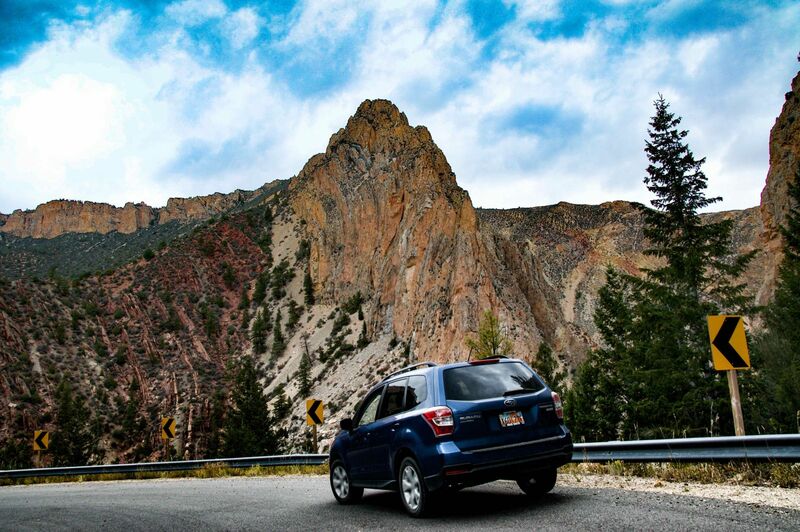 From a base camp at Flaming Gorge, save an hour or two to explore these scenic backways. The alpine vistas of the High Uinta’s combined with the jaw-dropping geology of Sheep Creek will not disappoint. You can drive through in hours or stay for days enjoying the surroundings. The Sheep Creek Geologic Loop is a 10-mile section of road that takes you through the center of the Uinta Crest Fault. Along its course, you will not only see exposed layers of the earth raised in dramatic angles and positions, but will also have the opportunity to pull out at overlooks with your binoculars and scan for wildlife, including those Rocky Mountain bighorn sheep. 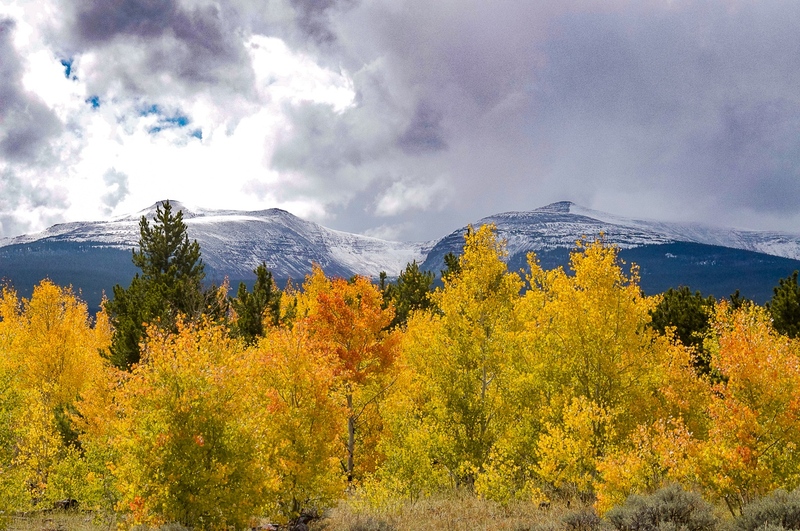 The Spirit Lake Scenic Backway is a 17-mile section of improved road that takes you through forests and meadows to the northeastern edge of the High Uinta Wilderness and offers access to prime mountain fishing, hiking, backpacking, ATVing and camping. Begin the Sheep Creek Loop at the Dowd Hole Scenic Site, 15.5 miles north from the junction of U.S. Highway 191 and S.R. 44. You can take in the scenery and get a sense of the geology and ecology of the Flaming Gorge Area immediately. From there travel west on Forest Road 218. You will come to the Browne Lake and Spirit Lake Scenic Backway turnoff in four miles at Forest Road 221. Continue on the Sheep Creek Geologic Loop to the overlook of Sheep Creek Canyon. Layers of sandstone, shale and limestone are all on display. Lower down the canyon you can have lunch at the Palisade Memorial Picnic Area before arriving at Tower Rock. You'll see this impressive piece of Weber sandstone as you hit the bottom of Sheep Creek Canyon. Detached from the surrounding cliffs, it appears to be standing out in defiance. At the end of the canyon, when you return to Highway 44, you’ll find the Sheep Creek Nature Trail. The boardwalk path will guide you along the water and beneath large walls of weathered Navajo sandstone. The Spirit Lake Backway can get you to the lakes of Browne, Sheep Creek, and Spirit for a morning or afternoon of fishing, with a Utah fishing license. The short trails of Tamarack Lake and Ute Lookout Fire Tower can be nice half-day excursions. Several campgrounds ranging from formal to primitive can be found throughout this area. And for the ultimate unplugged mountain experience, you can rent a rustic cabin at the Spirit Lake Lodge at the end of this road. The Sheep Creek and Spirit Lake Backways fall within a Forest Service Fee Area. You may travel these roads free of charge, but if you stop and use one of the recreation areas you are required to pay the fee. You may find fee stations throughout the backways and Flaming Gorge Recreation Area. Thank you for visiting http://www.flaminggorgecountry.com/scenic-backways! Be sure and revisit flaminggorgecountry.com frequently for content updates and more.